Is the Icebug Oribi running shoe suitable for more than running on wet or slippery surfaces? On the box containing a pair of Icebug running shoes, you will find these words: “Safe grip, free mind.” If this does not seem to be quite clear, the Swedish company also uses another motto: “The world leader for traction.” Yes, this is the company that promises that on wet or slippery surfaces, its RB9X surface shoes grip “better than anything else on the market.” You could walk across an ice rink in a pair of Iceburg shoes. But how does one of their offerings work on the trails and roads of the U.S.? See the verdict below. The Oribi is named after an African antelope, an animal with “speed, grace and agility.” This hybrid shoe weighs just 8.1 ounces – although one would think it was heavier due to the rather substantial rugged outsole, it offers a 7mm drop (versus a 4mm drop in the Icebug Acceleritas RB9X), and is said to to offer medium cushioning and flex. The Oribi has a polyester mesh upper, a lightweight EVA midsole, a TPU mudguard upfront, and a rock plate in the center of the forefoot. I ran in this striking beryl/cobalt colored shoe, provided by the company, on various surfaces. The Icebug has a straight last and provides a snug fit. However, there’s room on top of the foot – something I mention because several other trail shoes seem to be too low-cut these days. Due to some toe issues, I requested a model one full size up. This meant there was some initial space-caused slippage at the rear heel area of the shoe – a matter remedied by wearing a pair of mid-weight running socks. On a dirt and gravel-covered trail, I quickly noticed that the Oribi delivers a straight-ahead ride. This was made more evident when I ran on the same trail in another manufacturer’s shoe and found my feet moving around more than necessary. The Oribi makes one feel like your feet are locked onto a rail. This is good. Less wasted movement equals less wasted energy. On asphalt, the ride is surprisingly smooth and comfortable. Not only is there no wasted energy, one feels the energy return from the responsive but not overly firm midsole. One may look forward to mid-range and long training runs in the Oribi. The Oribi’s lugs allow one to dig in on a mowed grass trail. There’s stability front and rear, as well as from side to side. Because of these properties, I found myself running too fast and almost falling. Thanks to the Oribi’s “torsional stability” system, I was able to remain upright. The Oribi is 100% protective on concrete. One can feel the ground but without punishment to the feet or sensitive metatarsals. This model absolutely shines on a hard-packed dirt trail, offering – to use an automobile analogy – what feels like four-wheel drive. For my feet, this felt like the best shoe ever on this type of surface! On a trail loaded with large and small rocks, the Oribi offers just enough feel while protecting the feet from pain or discomfort. Thanks, rock plate. On a fire road, the shoe produced a B+ ride and offered some fun using the shoe’s moderate lugs to beat down high grass and brush to get there. The clearest view of the Oribi’s nature came when I ran on the well-trampled down dirt and rock path around a city park. This is when I realized that the Oribi allows the foot to move through its natural full range of motion – heel to midfoot to forefoot, on every step. Initially in my mind, I thought that the Oribi provided the ride feel of a Nike trail shoe or of an early Asics Gel DS Trainer. But then it hit me, “This feels like a Pearl Izumi trail shoe!” Ah, yes, a number of movers loved the Pearl runners. Sadly, Pearl Izumi withdrew from producing their running shoes at the end of 2016. One can no longer purchase one of their exemplary models. Fortunately, the Icebug Oribi is here to fill the void. At a list price of $149.95, the Icebug Oribi is not inexpensive. But it’s a shoe that does everything well on almost every surface (including ice and snow), offers almost endless protection for tired and worn feet, and is durable enough to last for several hundred happy training miles on natural trails and city streets. The Oribi will be a bargain for the runner who uses it to replace not one but two shoes in his or her rotation stable, as it can be used as both a trainer and race day shoe. Note: Icebug USA is based in Bellingham, Washington. I must have been in my office when she took her last breath, when she’d crawled into bed after dropping the kids off at school. I was sitting at my desk, reviewing those client files, no idea that everything was about to change. I had a difficult time trying to make my way through one of Amy Hatvany’s earlier novels. Well, this was not a problem with Heart Like Mine, a fully engaging story of love and family. Grace McAllister is a thirty-six-year-old woman who has never married — she’s always felt that she would be a less-than-competent mother — but under strange circumstances (they “meet cute”) she happens to meet the owner of a Seattle restaurant. Victor has two children, but that’s not an issue for Grace since their attractive mother Kelli — who was divorced from Victor three years earlier — takes care of them. Grace and Victor become engaged to be married, and Victor meets Kelli for coffee to let her know the news. Before Grace and Victor can proceed to tell the children, Ava and Max, Kelli is found dead in her bed. Heart Like Mine places a few questions before the reader… Is Victor the man he seems to be or is he hiding something? Can Grace learn to be a good stepmother to the children at a time when they will hate anyone who attempts to replace the mother they loved? Did Kelli, who suffered from depression and still loved Victor, take her own life after learning that he was to re-marry? My throat thickened at the realization that I would never know when my life might come to an end. How suddenly everything might be lost. Kelli perceives that’s she’s physically and possibly mentally ill, but seems unable to come to grips with reality. But then her life had spun out of control when she was just 14. The story is told primarily through the voices and perspectives of Grace and young Ava; although Kelli is the narrator of a couple of chapters. Grace is excited about the prospect of marrying Victor and is suddenly blindsided by being a substitute parent to two grieving children. Her relationship with Victor quickly deteriorates, especially as he’s trying to keep his restaurant open in a down economy. Ava knows that her mother and her grandparents kept secrets and she’s determined to find the truth even if she has to run away from home to do so. 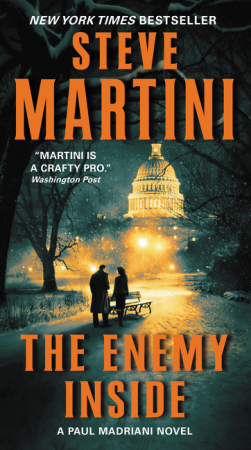 Hatvany cleverly ties all the storylines together at the end. It is a conclusion that just might be the opening to the next part of the new family’s tale. Whether or not that’s the case, I’ll be looking forward to reading the next engaging page-turner from this writer who views life as something that’s never quite under our control. A review copy was received from the publisher. “Amy Hatvany writes with depth and compassion.” Luanne Rice, author of The Silver Boat. A preview-review of the documentary, Mr. Cao Goes to Washington, which will be seen on PBS TV beginning on January 3, 2013! We recently met with Santa Claus at the North Pole to work on a list of possible presents for book lovers. Here’s what we came up with. You Came Back: A Novel by Christopher Coake (Grand Central Publishing), and Gone: A Novel by Cathi Hanauer (Atria). Two of the best novels of the year, both dealing with loss. A man’s life is irrevocably changed when his young son dies, and a wife and mother is lost when her husband drives the babysitter home and never returns. This may be the best debut crime novel by anyone since Think of a Number by John Verdon. A disabled NYPD cop turned public school teacher decides to solve a crime that involves one of his former students. A story is told through the lives of five different human beings who live in different times, including the past and the future (2029). Those who loved the innovative novel American Music by Jane Mendelsohn may be drawn to this one. A perfect cold case story for cold weather reading. As a late-Spring snowstorm hits Seattle, a reporter tries to get to the bottom of an 80 year-old kidnapping. A young female Canadian lawyer, presumed to have died while visiting a village in Africa destroyed by an earthquake, returns home to find that everyone’s moved on without her. From the author of Spin and Arranged. Four women with legal and personal issues are required to attend weekly group counseling sessions with a rather unconventional counselor. Serious issues covered with a “wry sense of humor” (The Sacramento Bee). The story of the musicians who anonymously played on most of the biggest-selling rock songs recorded between 1962 and 1975. This book provides “Good Vibrations” for the music fanatic. The author of Paul McCartney: A Life shows us the very human side of The Boss, Bruce Springsteen. Fans of the late singer-songwriter will be enthralled by this overview of his all-too-short life. These well-written biographies of the late Queen front man will make readers revisit their Queen music collections, or purchase new ones. It’s not easy to cut down on either sodium or gluten in our diets, but these two authors illustrate how you can do so and still enjoy eating. If you think the San Francisco 49ers have a quarterback controversy now, Lazarus reminds us of what happened on the team between 1987 and 1994. The amazing story of when an unknown golfer by the name of Jack Fleck beat his idol, the great Ben Hogan, at the U.S. Open major tournament. Truth is stranger than fiction, and in ’55 the Open was played at the Olympic Club in San Francisco (just like this year’s U.S. Open). An overweight man’s health is saved, and his life is rescued by a small mountain-climbing miniature schnauzer named Atticus M. Finch. A fine, touching memoir. Review copies were provided by the publishers and/or publicists. A Possible Life will be released on Tuesday, December 11, 2012. Tagged as 1955, 1962, 1975, 1987, 1994, 2029, A Memoir, a novel, A Novel in Five Parts, A Possible Life, Adam Lazarus, American Music, An Intimate Biography, Arranged, Atria, Ben Hogan, best authors, best novels of 2012, Best of Rivals, Blackberry Winter, book review site wordpress, books as gifts, Bruce, Bruce Springsteen, Bruce Springsteen biography, Catherine McKenzie, Cathi Hanauer, Christmas presents, Christopher Coake, Cold Case, crime novel, Da Capo, debut novel, fiction, Following Atticus, Forgotten, Freddie Mercury, Gluten-Free, Gone, Good Vibrations, Grand Central Publishing, Henry Holt, I Got a Name, Ingrid Croce, Is This the Real Life?, Jack Fleck, Jane Mendelsohn, Jim Croce, Jimmy Rock, Joe Montana, John Verdon, Joseph Arellano, Joseph's Reviews, Kris Radish, man and dog, memoir, Mercury, miniature schnauzer, Minotaur Books, musicians, Neil Sagebiel, Nicole Hunn, NYPD, Olympic Club, Paul McCartney: A Life, Peter James Carlin, Plume, presents for book lovers, professional golf, quarterback controversy, Queen, recommended books, Robyn Webb, rock and roll, Sacramento Bee, Sacrifice Fly, San Francisco, San Francisco 49ers, Santa Claus, Santa's book list, Santa's book recommendations, Sarah Jio, Seattle, Sebastian Faulks, special diets, Spin, St. Martin's Press, Steve Young, The Boss, the future, The Jim Croce Story, The Longest Shot, the North Pole, The Sacramento Bee, The Wrecking Crew, Think of a Number, Thomas Dunne Books, Tim O'Mara, Tom Ryan, Touchstone, trade paperback, Tuesday Night Miracles, U.S. Open golf tournament, Washington, William Morrow, winter reading, Wordpress book review site, wry sense of humor, You Came Back, You Won't Believe It's Salt-Free! I live a block off 14th Street, the setting for much of George Pelecano’s gritty crime novel, What It Was. 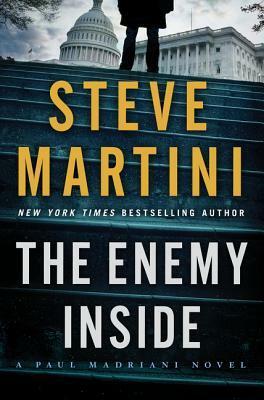 Set in 1972, it’s a fascinating read for anyone who likes books set in the Washington “beyond the monuments.” Watergate is briefly touched on, but this book contains no Senators, no wacky Masonic conspiracy theories and hardly any politics at all. What It Was concerns the lives of real people, mostly cops and criminals, in a city scarred by riots. The popular conception of 14th Street is that it was a wasteland, from the disturbances of 1968 to the start of gentrification in the 1980s. But life went on. Pimps, drug dealers and hustlers of all kinds moved in. And for a lot of them, and the cops that pursued them, it was a hell of a time, even a good one. Red Fury wants to make a name for himself and is going on a crime spree across the city. He wants to be remembered. Hunting him is Frank Vaughn, a dinosaur in the evolving era, someone not afraid to bend the rules to get the job done. Also mixed up in the case is his friend Derek Strange, a cop who has left the force to become a private eye. 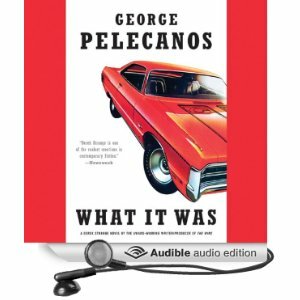 Pelecanos has a great eye for the details of the time, from the tricked-out cars to the soul music of the 1970s. He also resurrects a lot of old DC haunts, legendary bars and restaurants that are long gone in this gentrified city. His knowledge of the city is encylopedic. For example, Red hides out in Burrville, a neighborhood I didn’t even know existed. I wrote my own crime novel about the city, Murder in Ocean Hall. It’s set in many of the 14th Street neighborhoods of What It Was but during a time of rapid change. What It Was is a fast, involving read. Pelecano’s style is muscular, alternating perspectives as it advances towards an inevitably violent conclusion. Interestingly, the novel is available on the Kindle for only 99 cents. It’s a limited-time offer designed to generate new readers for this crime novelist. 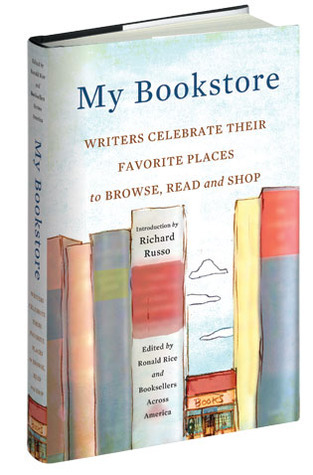 Forward-thinking publishers are experimenting with new strategies and promotions to adapt to the world of e-readers. What It Was is also the first book I’ve read on my iPad. Using the Kindle app, set to sepia, it was a comfortable reading experience – though not as easy on the eyes as using an e-ink reader like the Kindle. But the 99 cent strategy worked for me. After dipping into the gritty crime world of What It Was, I’m primed to read the rest of Pelecano’s work. Well recommended. Joe Flood is the author of two novels, Don’t Mess Up My Block and Murder in Ocean Hall. He is also a photographer and web content manager. You can see more of his writing – and his photographs – at: http://joeflood.com/ . What It Was is available as a Kindle Edition or Nook Book download for $4.99.